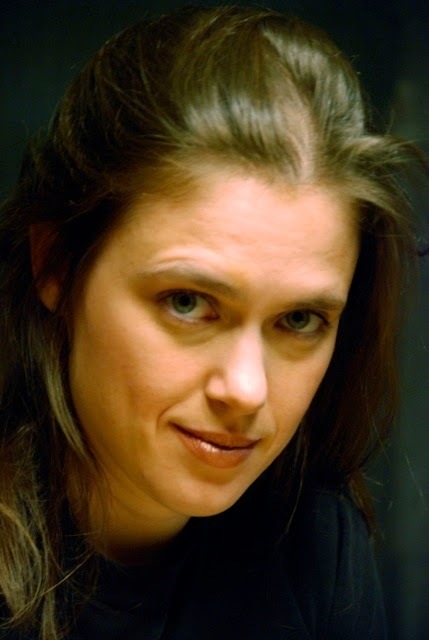 Mary G. Thompson is the author of Evil Fairies Love Hair, out earlier this month! To celebrate her release, she's here on the blog to talk about character! There are two types of characters in Evil Fairies Love Hair—human and magical. The process for creating them was very different! For the humans, I wanted kids that people could relate to with problems we’ve probably all had. Ali wants her parents to appreciate her as much as her seemingly perfect older sister. Most of us have had the experience of being underappreciated! Ali is brave and ultimately does what’s right, but that doesn’t mean she’s perfect. She’s selfish enough to want her wish, and a lot of the complications come up as Ali tries to be selfish and selfless at the same time. Michael, the neighborhood troublemaker who ultimately helps Ali save the town, is kind of based on a kid who used to live in my neighborhood. In real life he was my older sister’s age, and he was a real jerk. He locked us in the shed we used as a playhouse and used to break blocks of ice over my sister’s head in the winter. My mom would always lament that despite being such a jerk, he had beautiful blue eyes. I thought it would be interesting if the seemingly bad kid really wasn’t all that bad but was just following his older brother’s lead. In fact, he’s helpful and just wants to be liked like everyone else. For the magical characters, a lot of it was thinking of silly names! The main fairy character is named Pilose, which means “covered with long soft hairs.” Her fellow flock-starter is Ringlet, and there is also a pair named Frizzcontrol and Thickener. The main fairy villain is Bunniumpton, or Bunny, which has nothing to do with hair, it’s just both pompous and silly. I didn’t want the fairies to just be caricatures with silly names though, so I gave them a little bit of conflict between themselves. Some of them are excited about Bunny’s evil plan to become big, but others just want to go back to their cozy homes. Even though the fairies admonish the kids not to be greedy, they themselves want everything that people have without dealing with any of the responsibilities. Obviously fairies can’t get away with being greedy either! I want people to ask, are they actually evil? Can we understand where they’re coming from? What would we do in their situation? In other words, I hope readers will see that fairies are people too! I’d love for kids to ask themselves some questions at the end of the book. Would you do everything you could to get a wish like some of the kids, or would you be able to turn down the fairies like Crista? Would you try to have it both ways like Ali? And if you were a fairy, would you follow Bunny or would you take a stand for what’s right? What can one individual fairy or kid do? I think the answer is, one person can do quite a lot! Sometimes one person can be a good influence on others. If I was faced with a fairy offering me a wish, I’m not sure what I’d do. I think everyone should have a slightly different answer! Ali and her middle school classmates are raising flocks of fairies to make their wishes come true. But growing a flock is harder than it sounds: the fairies eat only human hair, and the rules for dealing with them are confusing, misleading, and subject to change. As Ali and her friends struggle to earn their wishes, mistakes are made, spells go awry, and soon Ali is up against hundreds of two-inch-tall imps who have very big plans—to replace all the parents in town!—and the power to carry them out. 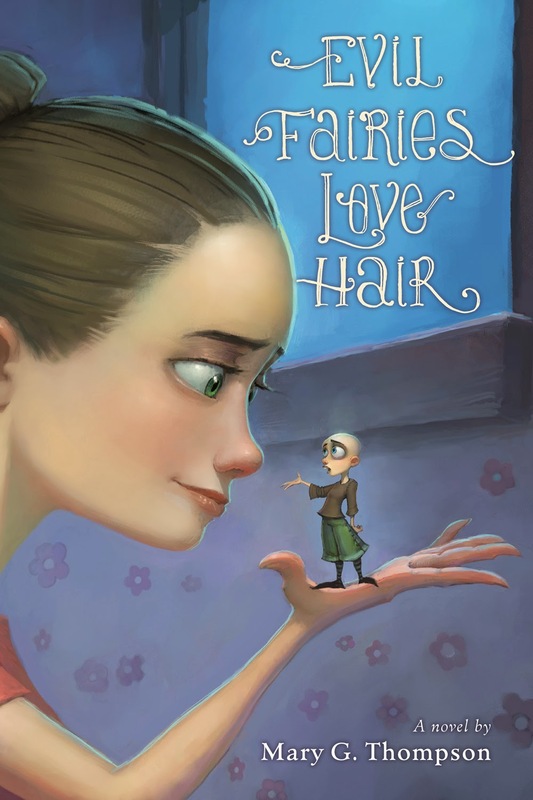 Comedy and fantasy intertwine in this lively tale of intrigue, magic, and the power of hair. To follow the blog tour, check out tomorrow's stop! And enter the form below for a chance to win a copy of the book!